Valle del Cauca, or Cauca Valley ([ˈbaʎe ðel ˈkauka], [ˈβaʝe ðel ˈkauka]) is a department of Colombia. It is in the western side of the country, facing the Pacific Ocean, and it is considered one of the most important departments in the Republic of Colombia. Its capital is Santiago de Cali. Given its privileged location, lately it has been considered as the Pacific Door of Colombia. Besides Cali such cities as Buenaventura, Cartago and Tuluá have great economical, political, social and cultural influence on the department's life. Valle del Cauca has the largest number of independent towns (i.e. not in Metropolitan areas) with over 100,000 inhabitants in the country, counting six within its borders. Buenaventura has the largest and busiest seaport in Colombia, moving about 8,500,000 tons of merchandise. The anthem of Valle del Cauca Department is "Salve Valle del Cauca, mi tierra" ("Hail Valley of the Cauca, my land"). The department of Valle del Cauca is located in the western part of the country, between 3° 05’ and 5° 01’ latitude N, 75° 42’ and 77° 33’ longitude W. It borders the departments of Risaralda and Quindío to the north, Cauca to the south, Tolima, and Chocó and the Pacific Ocean to the west. The valley is geographically bounded by the Central and Western mountain ranges and is watered by numerous rivers which empty into the Cauca River. The department is divided into four zones: the Pacific Fringe, which is humid and mostly jungle; the western mountain range, also humid and full of jungle, heavily deforested due to the paper industry; the Andean valley of the Cauca river, whose surrounding lands are the most fertile of the country; and the western ridge of the central mountain range. Palynological analyses performed by experts have determined that during the Superior Pleistocene some (40,000 – 10,500 years ago), the valleys of El Dorado and Alto Calima had Andean forest and Sub-Andean vegetation. The discovery of projectiles indicated that there were communities of hunter-gatherers at the end of the Pleistocene and the beginning of the Holocene. The extinction of the Pleistocenic megafauna in the beginning of the Holocene forced humans to adapt to their new environment, becoming hunter-gatherers. In the lower basin of the Calima River (Sauzalito River, El Recreo River and El Pital River) archaeologists found the oldest traces of hunter-gatherers that inhabited the Valley of the Cauca River. According to these, in 5000 BC these societies already had some level of primitive agriculture and cultivated maize. There is little information about the years between 3000 and 1500 BC. In 1500 BC the first agricultural–pottery society appeared, the Ilama culture, extending along the Calima River (in what is nowadays the towns of Restrepo and Darien. Its society had a social structure of Cacicazgos (chiefdoms) that prevailed until the arrival of the Spaniards. The Ilama economy was based on migratory agriculture using maize, yuca, and beans; hunting, fishing, textile confectioning and metallurgy. The Chief or "Cacique" was the head of the settlement and also had "chamanes" (spiritual leaders), warriors, farmers, hunters, pottery men, and goldsmiths. By 100 AD the Ilamas had developed into the Yotoco Culture, which expanded the region of the Ilamas further into the Cauca River to the Pacific Ocean, and to the south to the region of what is now the city of Cali. The Yotocos were a highly stratified society, headed by caciques, which managed several settlements. They existed in the region until 1200 AD. The population had increased, forcing them to develop effective agricultural techniques to feed its population which also improved the techniques on pottery and metal works. The agriculture of the Yotocos was more varied than that of the Ilamas and was based on maize, yuca, beans, arracacha, and achiote among others. The Yotoco started declining in the 6th century AD. This archeological period is called the Late Period and is divided into Late Period I (6th to 13th centuries) and Late Period II (14th to 16th centuries). In Late period I the region of Valle del Cauca was inhabited by the Early Sonso culture, Bolo, Sachamate and La Llanada. During Late Period II the region was inhabited by the Late Sonso Culture, Pichinde, Buga and Quebrada Seca. Their development is attributed to population growth. Almost all the settlers in the area became subject to the rule of one main Cacique. The first 67 Spanish explorers arrived in the area after founding the village of Popayán, in an expedition from Quito headed by Sebastián de Belalcázar. In the Valle del Cauca the explorers founded the village of Villa de Ampudia, named after one of them, Juan de Ampudia. By orders of Belalcázar the village was then moved to the Riviera of the Cauca River, within the Gorrones indigenous people's territory. In 1536 a Captain Muñoz ordered the city to be moved to the Valley, where the Village of Cali was founded on 25 July of that same year. Another Spanish explorer, Juan de Vadillo, coming from the village of Cartagena de Indias, entered Cali on 23 December 1538 with a second group of explorers, but he returned to Cartagena, leaving many of his men behind including Pedro Cieza de León. A third group of explorers, led by Admiral Jorge Robledo under orders of Lorenzo de Aldana, advanced to the North of the Valle del Cauca and founded the villages of Anserma (now part of Caldas Department; 15 August 1539), Cartago (9 August 1540), and Antioquia (25 November 1541), and under command of Pascual de Andagoya who came from Panama to Cali with a fourth group of explorers. The Department of Valle del Cauca was created by decree number 340 April 16, 1910 which also created 12 other departments for Colombia. 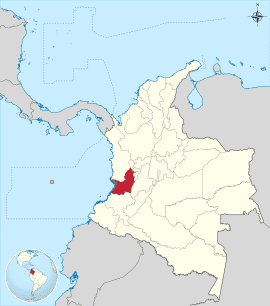 The Valle del Cauca Department was a result of the union of four former departments; Cartago, Buga, and Cali. The government of Valle del Cauca is similarly set up as the Government of Colombia in which there are three branches of power; judicial, executive and legislative with control institutions at government level. The executive branch in Valle del Department is represented by the Governor of Valle del Cauca Department, the legislative branch is represented by the Department Assembly of Valle del Cauca and its deputies and the judicial is represented by the four department level of the Judicial Branch of Colombia; Superior Tribunal of Cali, Penal Court of the Circuit of Cali, the Administrative Tribunal of Valle del Cauca and Superior Military Tribunal for military cases. Valle del Cauca Department has 42 municipalities, each one having a mayor which is a popularly elected representative of the governor. Universidad del Valle (University – Multiple Campuses) : Univalle is one of the largest and most respected universities in Colombia. It is entirely funded by the government. Hospital Universitario (University Health Centre)] : The University Health Centre of Valle is a level 4 hospital, located in the heart of Cali. Its E.R and traumatology centres are ranked among the country's busiest and most well trained. In Colombia, hospitals rank between level 1 and 4. 1 being the one's with the most basic services, and 4 those with full services and facilities. Bellas Artes (Fine Arts School) : Until the 80's it was Colombia's most admired Arts School. Due to funding reductions and other problems, its influence gradually disappeared. Beneficiencia del Valle (Department's Lottery) : Currently, the biggest prize awarded is $1.200.000.000 COP (about $500.000 USD). In the Colombian system, regional lottery agencies run their own programs and prizes. Departments' budgets are largely funded by lottery agencies transfers. Industria de Licores (Department's Liquor Company) : Aguardiente Blanco del Valle is the main product made by the company. Bibliovalle (Libraries Network) : The Department runs a network of libraries in municipalities with no resources to run their own. The Central Department's library is located in Cali into the Rodrigo Lloreda Caicedo Science Center. The department's economy is mainly centered on agriculture. 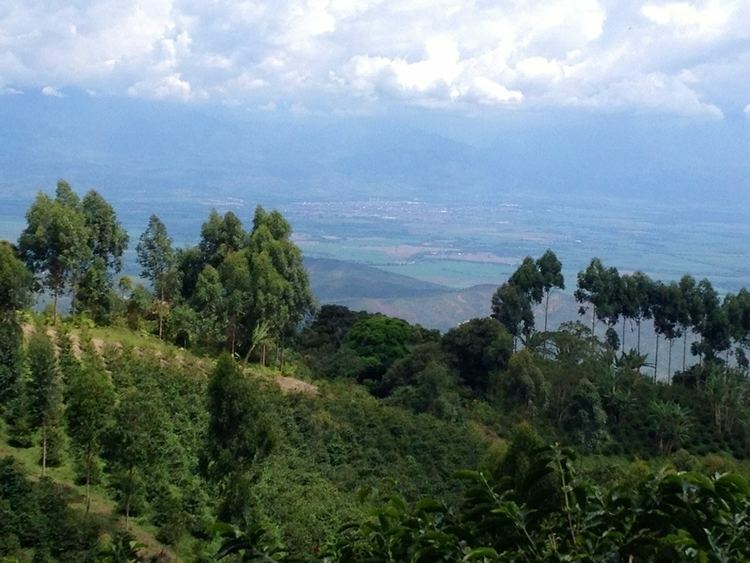 Its valley contains sugar cane, cotton, soy, and sorghum crops, and there are coffee crops in the mountains. The department is known for its sugar industry, which provides sugar to the markets of the rest of the country and nearby countries. The sugar is obtained from the large sugar cane plantations, which were introduced to the department by Sebastián de Belalcázar. The production by the city of Yumbo also stands out, where several companies are found, most prominently the paper and cement businesses. The port at Buenaventura is Colombia's main port on the Pacific coast, allowing for the import and export of goods, and is of great importance for the economy of both the department and the country. More than 80% of the population lives in cities or towns. The coverage of public services is among the highest in the country, with electrical power and education standing out the most. The food most closely associated with the department is sancocho de gallina, a stew made with an old hen, potatoes, yucca, corn and other ingredients; the characteristic flavor comes from a herb called cimarron or recao (Eryngium foetidum). The capital of the department is Santiago de Cali, with approximately 2,800,000 inhabitants, was founded by Sebastián de Belalcázar in 1536. It is made up of 42 municipalities, the most populous being, from north to south, Cartago (Famous for its craftsmanship, its embroidery and for the "Casa del Virrey", House of the Viceroy), Roldanillo (Venue of the museum on the artist Omar Rayo), Tuluá (Located in the middle of the department), Yumbo (Industrial capital of the department venue for more than 2000 Industries of various types), Ginebra, Palmira, Buga and Jamundí.